There are plenty of ways to travel around Australia. You can fly from city to city and hire a car out, cruise around from port to port in a big ship, tow a caravan around with a car or just drive your accommodation around in one, all inclusive Campervan! 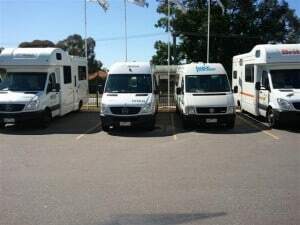 Campervans are one of the most popular ways to travel Australia because you don’t have to tow anything, they offer plenty of room and many features and you don’t need to be a truck driver to drive one! The term ‘Campervan’ is used very broadly; they start off as Four Wheel Drives and little Vans and work their way up to trucks. All of them are fitted out so they are a combination of a kitchen and bedroom (and some have a laundry and bathroom too!). Obviously, what you choose to use comes down to the amount of space that you want, and the features that you require inside of the van. Many Campervans have toilets, multiple beds, kitchens, showers and air conditioners/heaters! You can choose to purchase a Campervan or hire one, depending on your specific requirements. These are really a great way to Campervan Australia without the need to set up tents, unhook trailers and deal with leaking canvas! Imagine being able to pull into a Caravan Park anywhere in Australia, turn the TV on and start cooking dinner (with a complete kitchen; microwave and all!). You can relax over a great meal, have a warm shower, go to the toilet and then end up in a king size bed for a great night’s sleep without even leaving your van. From there, you wake up the next morning just metres from the beach and go for a relaxing walk, come back, cook breakfast and clean up. You can then get back into the front seats and drive off again, to another location and another adventure! A Campervan combines so many things that make them easy to use, comfortable to stay in and ultimately incredibly popular throughout the world. 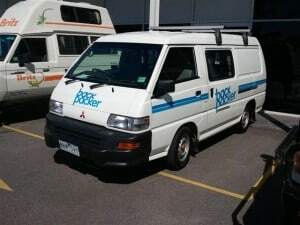 As I mentioned above, normal 12 seater vans are made into Campers very commonly in Australia (and throughout the world for that matter). Generally they are only set up for two people, with a bed and pull out kitchen. These are quite cramped, but then they provide excellent value for those who are on a tight budget. These also do not have a Toilet or Shower. Some will sleep four people, with two beds on top of each other and a taller roof to allow this. The next size up is considerably bigger than a normal Van, but not quite a truck size. They usually allow you to stand up without having to duck, and have much more room. Again, you can get these that only sleep two, or you can get them that sleep 4. Most of these also have a toilet and shower, which is always a bonus! The size above this is basically a bus, and has enough room for 4 – 6 people to sleep. Often the bed converts into seats around a table. The kitchen is large enough to cook with ease, and there is generally plenty of room to move about. These usually have everything that you need to live in comfort! There is one last option, although many people don’t term these as Campervans as such. You can rent out four wheel drives that have rooftop tents, or that have beds inside (up the top under the big pop top section). These are great because they make it easier to access the best spots, but they are not as big as a full sized Campervan. Alternatively, take the four wheel drive and camp, or tow a Camper Trailer along. What size Campervan is best? If you are going to Campervan Australia, you want to pick something that is going to be comfortable, but not too expensive. Of course, you can compromise on one of these depending on your needs! I have seen 4 backpackers cram into one of the tiny Campervans, and travel for months. If you are happy with this (and there are enough seats) then why not? However, if you want to stay comfortable, I would recommend getting one that has at least 1 or 2 ‘berth’s’ more than the number of people travelling in your van. If you are tall, you will regret getting a small Campervan because you will never be able to stand up properly! 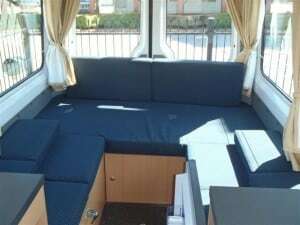 Campervans are measured by the number of ‘Berth’s’ which is the number of beds available. If you are going with 4 people then a 6 Berth Campervan is comfortable. 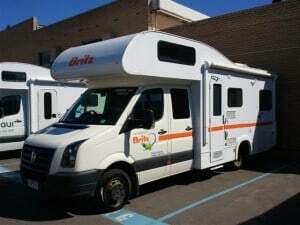 That isn’t to say that a 4 berth is going to be uncomfortable with 4 people, but it’s worth looking inside and making a judgment call yourself before you buy or hire one! 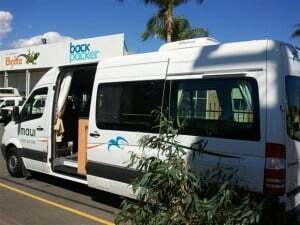 You need to pick a location to start your Campervan Australia adventure. At the end of the day, I would do plenty of research online and pick one of the major cities. Many hiring companies for Campervans will do one way hiring, which means you have a bit more choice in terms of where you are going. At the end of the day though, make sure you take the advice of those who have travelled before in terms of the weather. This is what ultimately will make or break your holiday! 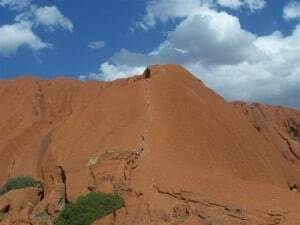 Australia has a lot of different weather conditions, and it varies considerably depending on the time of year and location that you are in. For example, parts of Australia rain just about every day over the monsoonal season, and this can make it hard to travel! These days, there is so much information online that you won’t have a problem identifying where the best places are at the best time of year. Simply make up a route, or find someone that has already done one and copy them. There are so many forums online that you are bound to find some good information. How many kilometres should I drive each day? If you want to have a good holiday, limit the number of hours you spend driving! Too many people rush from spot to spot and forget to enjoy themselves! I would avoid doing more than a few hundred kilometres a day, but this depends on how far you are travelling and in how long you are on holidays for. One thing to remember when thinking about Travelling Australia in a Campervan is that Australia is a HUGE place. That might seem obvious, but it really becomes clear when there are stretches for over a thousand kilometres with no towns in sight. Many tourists get themselves into trouble because they don’t realize the true size of Australia. My advice is to do a smaller trip and spend longer at each time. Have a bit of flexibility too; you will find there are places that you want to spend more time at, and likewise places that you might not want to stay at. At the end of the day, you are here to relax, so you may as well take it easy. Don’t stress if you don’t make it to every place you had written down; there is always time for another trip! If you are hiring a Campervan, be sure to ask about this. 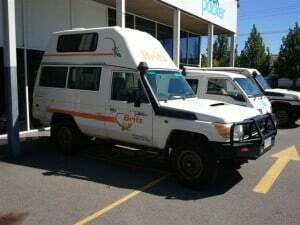 Some companies won’t even let you drive their Campervans on gravel, which severely limits you when travelling around Australia (quite a number of roads are gravel for many kilometres). In general though, if it isn’t a four wheel drive then taking it on anything beyond gravel roads is going to get you stuck and in trouble! If you manage not to get stuck, you will break something! Campervans are not four wheel drives and as a result tend to be limited to light gravel driving and the bitumen roads. If you want to go four wheel driving, hire one out and go for your life. 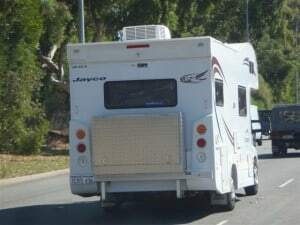 I mentioned above that there are a lot of Campervans in Australia. Many of these are hired out, by the vast range of Campervan Hire Businesses. In each capital city you will be able to find at least 10 different places that hire these out, so make sure that you shop around to get a good deal. Whether you hire or buy a Campervan is entirely up to you. You need to think about how long you are here for, depreciation of the Van, insurance, what you want to do with the Campervan and the overall cost. In many cases, if you are just here for a few weeks or months you are better off hiring them. I would recommend waiting for promotions as you can hire these for incredible deals! Where do you park up for the night? A lot of tourists think that they can just pull over on the side of the road and sleep at night. The reality is though, that if the ranger finds you doing this then they will probably give you a warning or a fine, depending on your location. There are designated areas for you to park up and go to sleep, and the side of the road is not usually included in this! Caravan Parks are the most popular places to park up for the night, and you are able to access a range of facilities by doing this. Most of the time having power is a requirement anyway, to charge batteries and run anything extra that you want to run. If you are travelling in peak season, it’s vital that you ring ahead to book your accommodation. If you don’t, it’s very likely that you will arrive to a full Caravan Park, and have nowhere to go. This is not what you want to experience at the end of a long day; believe me! I think it’s worth having a laptop and internet dongle (they are so cheap these days) as it is by far the fastest way to locate accommodation in any area. In fact, on many of them you can even book online too. My only real gripe with a standard Campervan is that you can’t go anywhere that a four wheel drive can. A Four Wheel Drive opens up Australia so much. Some of the most beautiful locations that are quiet and miles away from any towns are the best to stay at. With a Campervan, you are limited to Caravan Parks which are usually noisy and crowded. However, you do get the luxury of comfortable accommodation and there is still so much to see even without four wheel drive! Surprisingly, these are actually very good on fuel. A normal van will get around 10L/100km, and even a big Campervan will get in between 14 – 20L/100km, depending on how you are driving, the motor and the fuel type. Most Campervans will have a range of about 600 – 1000km on a single tank, but be sure to fill up regularly and check what fuel stations are around. Like I mentioned above, if you don’t fill up or work out distances between towns you could find yourself stranded in the middle of nowhere! If you are flying to Australia, it’s worth looking for package deals. It’s amazing the deals that come on sale from time to time which include campervan hire and flights. If you do it all yourself you have to spend more time arranging it all, and you won’t save anywhere near as much money. There are plenty of companies that do Campervan Travel Packages; so look it up! 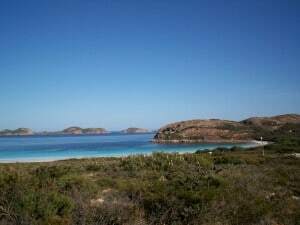 To Campervan Australia is simple, and relaxing. To top it off, it’s also very cheap compared to some of the alternatives. I’d highly recommend hiring these out and enjoying a few months in Australia; I guarantee it will be an experience of a lifetime.